Rudy’s, the Seattle-based brand responsible for reigniting the modern barbershop trend, announces a major rollout of unisex, Rudy’s-branded product through 2017. First to launch is a revamped version of its iconic 1-2-3 showering system: No. 1 is shampoo, No. 2 conditioner, and No. 3 body wash. This basic system simplifies showering for everybody with products that are universally appealing and, quite simply, work. 2017 will bring a steady rollout of a wide assortment of Rudy’s brand hair, body and home products. The launch of the 1-2-3 showering system comes at a delicate political time for the LGBTQ community. To help where it can, Rudy’s is working with longtime partner, the It Gets Better Project, to provide shower products to a vulnerable part of the LGBTQ community – homeless youth. For every purchase of 1-2-3 products, Rudy’s will donate a week’s worth of the same product to a shelter that serves LGBTQ youth. 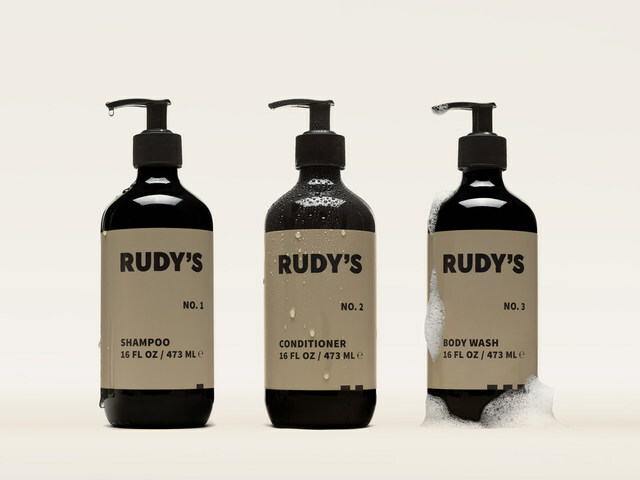 Rudy’s 1-2-3 products are carried at Ace Hotel’s nationwide, all Rudy’s Barbershops, and online at www.rudysbarbershop.com and other national retailers such as Birchbox.